To say that Tanzania is in a state of election fever as the October general elections approach may be an exaggeration but there has definitely been a quickening of the pace in political activity during recent weeks. Following the revelation of differences between the leaders of the ruling Chama cha Mapinduzi (CCM) Party, its National Executive Committee (NEC) set up a group of ‘three wise men’ under the leadership of former President Ali Hassan Mwinyi to try and resolve the differences (TA No 95). However, when the group reported in mid-February it said that it had failed to reconcile the two factions and the rift between them could not be bridged. Both sides had said that the problem was ‘not personal’ and so could not be resolved by a mere handshake. The NEC eventually decided to give the Mwinyi Committee two more months to continue with its efforts at reconciliation. This whole saga is complicated and it is difficult to define the precise nature of the rift, but the media seem to be agreed that much of the dispute centres on what action should be taken against those found guilty of corruption (described in many previous issues of TA). The first of the two camps is said to be led by former Prime Minister Edward Lowassa who resigned some time ago following a parliamentary investigation into the Richmond scandal (see below). The second faction is led by National Assembly Speaker Samuel Sitta who wants a much tougher line on punishing those found guilty of corruption. When the Assembly came to discuss the Richmond case in February, its Standing Committee for Energy and Minerals caused some surprise when it recommended that, as Lowassa had resigned from his position as Prime Minister, there was no need to take any further action against him. Some members of the NEC were far from satisfied with this recommendation, saying the corrupt elements had been let off the hook. The crucial NEC meeting at which the Mwinyi Committee’s report was discussed went on for longer than expected and President Kikwete, who was supposed to leave for a State visit to Turkey, had to postpone his departure until the next day. CCM Party Vice-Chairman Pius Msekwa, a member of the Mwinyi Committee, revealed to the press that the NEC had had at one stage to resort to religious scriptures. He said that while he quoted the Bible, Chairman Mwinyi quoted the Koran. Msekwa felt that, as Lowassa had taken the political decision to resign as Prime Minister, the matter should rest there. He said: “Our party has 4.6 million members. Most of them are not even aware of the ongoing debate among a handful of leaders. How can the party disintegrate?” he asked. Tabora region by Prime Minster Pinda, scuffles broke out between supporters of the two factions and it soon became apparent to which faction several local MP’s belonged. The Prime Minster finally decided not to allow any further comments or questions from the public. While all this was going on, a new political party suddenly arose, called Chama cha Jamii (CCJ). It claimed that it comprised members of the CCM, though at the launch no high ranking MPs confirmed membership. The official launch of the party on March 2 was not a great a success, with no international diplomats and only a small crowd of Tanzanians present. However, as this issue went to the press, the dramatic news came of the defection of CCM legislator and frontline anti-corruption crusader Fred Mpendazoe Tungu to the new party. Announcing his defection at a well-attended news conference, Mpendazoe (as he is commonly referred to as) repeated charges that the ruling party had sidelined and abandoned the majority poor Tanzanians and embraced the wealthy minority. He suggested most CCM politicians had their eyes focused on personal interests rather than the interest of wananchi (citizens). Both main opposition parties have begun campaigning although they are not supposed to do so until the election date is officially announced. Civic United Front (CUF) Chairman Prof. Ibrahim Lipumba, who stood unsuccessfully for the presidency in the last three elections, revealed that he was still wishing for a meeting with President Kikwete to expound several issues including the election laws, amending the country’s constitution, restructuring the National Electoral Commission and the determination of the country’s development vision. “Since President Kikwete was elected to the topmost political office in 2005, I have never met him in a one-to-one encounter” he said. CHADEMA leader Freeman Mbowe, who stood unsuccessfully for the presidency in the 2005 elections, has decided that in 2010 he will try to capture the Hai, Moshi parliamentary seat from the CCM and will not try for the presidency. He was campaigning in Dodoma as this issue of TA went to press. He promised that a strong candidate would be chosen. Zitto Kabwe, the young, ambitious and very popular CHADEMA MP for Kigoma, is also looking for a new constituency following boundary changes. Five constituencies around the country have invited him to stand. Normally there would be no shortage of candidates for the post of President of Tanzania and in the CCM it has become the tradition to re-elect a first-term president as candidate without opposition. President Kikwete is expected to win whether there is or is not another candidate. So far, only one candidate, John Shibuda MP has declared his intention to challenge him. 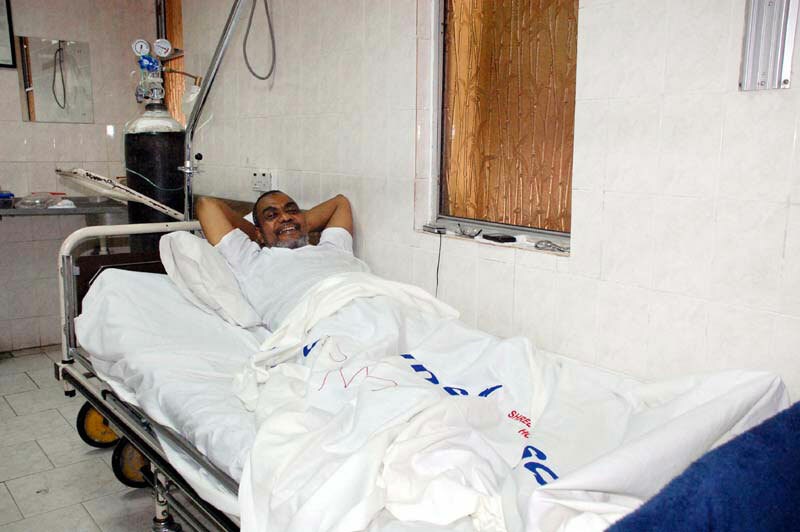 CUF’s Professor Lipumba, has not declared what he will do. In Zanzibar, with President Karume not allowed to stand for a third term, there is no shortage of CCM party members who might want to succeed him. Maalim Seif is expected to be the CUF candidate and two small parties, TADEA and NLD, have said that they would also be fielding candidates. Nomination forms for CCM presidential candidates will be issued on 1 July this year, while forms for parliamentary candidates will be issued on 26 July. The Media Council of Tanzania (MCT) has started working on the modalities of media monitoring. Executive Director Kajubi Mukajanga, said that, as the country heads towards general elections, the media regulator had the right to monitor stories published or broadcast during the election. He said the idea was to monitor the campaign and actual polling to make sure irregularities are spotted in time and the involved media house is notified. “We shall be issuing weekly reports on the election as we approach election time, and political fever rises” he added. The MCT will be looking at the language used by the media, ensuring balance in articles and that all aspirants get equal air time during the campaign. 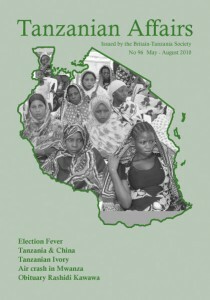 (Much of the above election news comes from the information and views being provided, on a daily basis, in the numerous Swahili and English language newspapers in Tanzania. This illustrates once again the remarkable freedom of expression now considered normal in Tanzania and the enthusiasm of the electorate for the coming struggle – Editor). 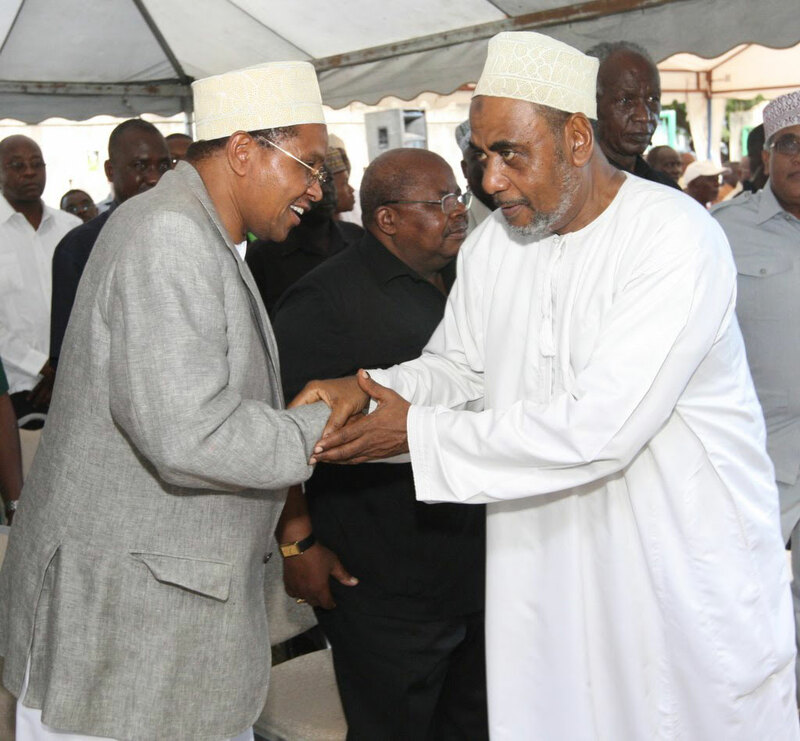 Following the dramatic reconciliation between the two leading parties (CCM and CUF) Zanzibar MP’s have lost little time in pursuing in the Zanzibar House of Assembly the idea of some sort of coalition government. A private motion was first presented by CUF leader in the House Abubakar Khamis Bakary (CUF) and debated for two days before it was passed. The government was asked to prepare necessary changes in the Zanzibar constitution to allow for the formation of a government of national unity. CCM’s representatives were at first hesitant but later came round and supported the preparation of a Bill. Similarly, on January 28, CUF, which had been opposed to the idea of holding a referendum as proposed by CCM, changed its mind. The exact form of this government of ‘national unity’ was the subject of further debate. It could mean a ‘coalition’ or some other form of co-operation between MP’s. Leaders of smaller parties, which have no MP’s in the Zanzibar House, complained about being excluded. CCM’s National Executive Committee (NEC) seemed to indicate that it would like to avoid such words as ‘coalition’ and ‘government of national unity’ in the proposed Bill. Instead it talked instead of an ‘inclusive government.’ One MP said that this meant that the government would co-opt members from opposition parties that gained more than 10% of the votes in an election. As the debate continued on these issues, there was concern when one of the two architects of the reconciliation between the two main parties, CUF Secretary General Seif Shariff Hamad (or Maalim Seif as he is best known in Zanzibar) – the other architect is Zanzibar President Amani Karume – was suddenly taken ill at the International Airport in Dar while waiting for a connecting flight to Oman. However, the problem was soon diagnosed as bronchitis and he went back to work shortly afterwards. Just before this, Hamad had had his third meeting with President Karume on the registration of voters which had been going very slowly in Zanzibar and had been a serious bone of contention between the parties following allegations that the 2000 and 2005 elections had been fixed in favour of the ruling party – Guardian. During an interview with the Guardian on Sunday, CUF National Chairman Prof. Ibrahim Lipumba revealed what happened before the historic reconciliation meeting between the CCM and CUF leaders in November 2009 which had caused so much surprise at the time. There have been two items of good news in the anti-corruption campaign during recent weeks. Minister of Finance Mustafa Mkulo has announced that the government has recovered Shs 72 billion ($53 million) from the Shs 133 billion (98.5 billion) of the Bank of Tanzania’s External Payments Arrears account which was misappropriated. In the very long running Air Traffic Control System (Radar) case, (see earlier issues of TA) dramatic news came from the UK’s Senior Fraud Office (SFO) in January when Britain’s BAE Systems finally accepted responsibility in several corruption cases around the world including the one in Tanzania. It agreed to pay penalties in the US and the UK totaling several hundred million dollars to settle the cases against it. Under the deal, BAE will pay $400m (£255m) in the US and $47m (£30m) in the UK, the latter being a penalty for over-pricing the cost of the air traffic control system it sold to Tanzania several years ago. Leading up to the deal, the SFO had named Minister Andrew Chenge, businessmen Sailesh Vithlani and Tanil Somaiya, and former Governor of the Central Bank of Tanzania, Dr Idris Rashid as the key suspects. SFO investigators established that BAE Systems had secretly paid a $12m commission into the Swiss bank account of Sailesh Vithlani who was alleged to be the ‘middleman’. According to details from the SFO’s investigation, the actual price of the military radar system sold to Tanzania was far less than the money paid by Tanzania which had to borrow from Barclays Bank to help it to pay. Under the new deal between the SFO and BAE Systems Tanzania will get a refund of some $28 million. Before Tanzania can receive the money however, a number of legal issues have to be dealt with. According to ‘Africa Confidential’, British lobbyists ‘Corner House’ obtained an injunction on March 3 to freeze BAE’s plea-bargain deal with the SFO pending a decision on whether there should be a full judicial review. Africa Confidential reported that, if the deal were blocked, the SFO would probably proceed with a corruption case against BAE on some of its other contracts, followed by a prosecution over its contract for the air traffic control system in Tanzania. The SFO had earlier indicated that some of the cash would become ‘an ex gratia payment for the benefit of the people of Tanzania’. However, BAE was insisting that it would not pay the money to the government but that it would be given instead to local charities dealing with humanitarian aid in Tanzania. In Tanzania, Minister for Foreign Affairs Bernard Membe insisted that the compensation should be paid to the government. Some legal are said to believe that BAE may be anxious to avoid any legal implications that might arise if Tanzania finally chose to arrest and prosecute the key suspects. By paying the billions to charity organisations, it would appear that the donation would be part of the company’s ‘corporate social responsibility’ funding. ‘Corruption Watch has filed an application at a UK court seeking a review of the SFO and BAE settlement. Director of Tanzania’s Prevention of Corruption Bureau Edward Hoseah has written to the SFO welcoming the promised payment and suggesting procedures to ensure that the repatriation of the funds would be done transparently. Investigations into the complicated Richmond electricity generation case (see earlier issues of TA) are continuing. According to Tanzania Daima, the company which took over from Richmond after it withdrew – Dowans – is understood to be indebted to the tune of $ 2.4 million for breach of the contract it entered into with the Ministry of Energy and Minerals and which it had inherited from Richmond. Dowans apparently wanted to sell the generating plant it had constructed in Dar es Salaam but it was stopped by the court. The government is now demanding a penalty for failing to supply Tanzania with power. As indicate above, the Richmond scandal is now having repercussions on the political scene. The investigative journal ‘This Day’ has been looking into the matter. Extracts: ‘Whatever happens in the upcoming months of election year 2010, history will always show that prior to the Richmond affair, National Assembly Speaker Samuel Sitta and former Prime Minister Edward Lowassa were close political allies and both were key members of the powerful campaign machinery that delivered a landslide victory for President Jakaya Kikwete in 2005…it is because of this, that the new stand-off between the two (see above) is proving so damaging to the ruling CCM party’s aspirations to stay united…. Following the 2005 general election, Lowassa and other members of the pro-Kikwete campaign lobby better known as Mtandao (the network) backed Sitta’s candidature for the position of Speaker and, thanks in large part to active campaigning by senior Mtandao members, Sitta eventually won the speaker’s position by defeating the incumbent speaker, Pius Msekwa, in a tough contest. In December 2005 Lowassa was endorsed by parliament as Prime Minister….But then came the Richmond scandal. By 2008, Lowassa and Sitta were at loggerheads over the manner in which parliament – with Sitta’s backing – was handling the Richmond case as it grew in seriousness…. It was Lowassa who had supervised the process that led to the awarding of the dubious government power generation contract Richmond against expert opinion. TANESCO had reluctantly signed the contract with Richmond at night at the headquarters of the Ministry of Energy and Minerals….Richmond did not perform and a parliamentary team delivered a damning report on the deal which implicated Lowassa and others who promptly tendered their resignations. The case of former Finance Minister Basil Mramba, and his counterpart Daniel Yona (following three years of investigations by the Prevention and Combating of Corruption Bureau and the police into the suspicious hiring of Alex Stewart Corporation to audit gold production in Tanzania) has been adjourned again because the magistrate was away. The hearing of the case started in November 2009. Four prosecution witnesses have so far testified. There are more than 100 Chinese companies doing business in Tanzania with an accumulated direct investment of more than 200 million U.S. dollars in construction, textiles, agriculture, medicine and infrastructure, according to the Chinese news agency Xinhua quoted in the Guardian. Reports in 2008 showed business between China and Tanzania had reached $102 million in 1997, a jump of 22% over the previous year. The growth rate of trade between the two countries has developed steadily since 1994, surpassing the 15 percent mark for three years in a row. The rise of the trade is attributed to the political stability and economic reforms in Tanzania, which have increased the confidence of Chinese businessmen. Tanzania and China signed four more grant and concessional loan agreements on 15 January 2010 amounting to over Shs 239 billion for various projects including the Information, Communication and Technology (ICT) Infrastructure Network Project and the International Airport Terminal II Project in Zanzibar and, very significantly, the transformation of the Tanzania Zambia Railway Authority (TAZARA). However, in March, the Chinese embassy expressed concern for the safety of its nationals doing business in Tanzania. It asked for security measures to be strengthened to protect the safety of Chinese investors in Tanzania following the murder of two businessmen in 2008 and another in Dar in 2009. In a statement, the Chinese Business Chamber of Tanzania demanded that the police speed up the investigation into the latest killing – Guardian. An Air Tanzania plane, which was carrying 45 passengers from Dar es Salaam, was heading to its final destination in Mwanza on the morning of March 2 when the captain reported trouble to ground control. Visibility was near zero and the captain said he couldn’t land safely and would go to the nearest alternative airport which was Kilimanjaro. After ten minutes however he changed his mind and decided to land even though he could see a pool of water on the runway. 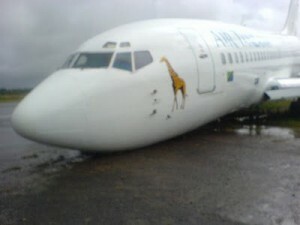 When the plane hit the puddle, the left engine allegedly sucked in water and turned off suddenly, leading him to lose control of the aircraft. The plane then skidded off the runway, causing some panic among the passengers. The plane skidded for nearly a kilometre before coming to rest at around 7:45am. Fire fighters managed to evacuate all 45 passengers and seven crew members, none of whom suffered serious injuries. The plane suffered serious technical damage that might rule out any possibility of flying again as a passenger aircraft – Guardian on Sunday. It is understood that the government is continuing to look for investors for part of Air Tanzania as it wishes to bring the airline back to full strength so that it can take advantage of growing markets in the Democratic Republic of Congo, Zambia, Malawi and China. In December 155 jobs were cut leaving only 182 on the pay role. Talks between the government and Chinese company Sonangol International Holdings Ltd, which has a substantial business in the oil, gas and minerals industries and which has started construction of a third terminal at the JK Nyerere International Airport in Dar es Salaam, are said to be well advanced. Air Tanzania Corporation was privatised in December 2002 in a deal in which South African Airways acquired 49 per cent of the shares but the agreement broke down. The US firm Celtic Capital Corporation of Texas has also indicated that it would be ready to take over the operations of Air Tanzania. Five firms based in the US, UK and the United Arab Emirates have also shown an interest – The East African. The Ministry of Home Affairs has told local authorities to take measures against religious denominations that are violating the law. A Ministry spokesperson told Habari Leo that though the government is for freedom of worship, when it comes to secular laws they have to be enforced. He said churches have mushroomed all over the country, some of them forbidding their children from singing the national anthem in schools or seeking medical treatment in hospitals. With an increase of about 670,000 (14.5%) new members last year, it has been claimed that Tanzania now has the second largest (after Sweden) Lutheran Church congregation in the world. Tanzania’s record increase brings its membership to a total of 5,300,000. The Evangelical Lutheran Church (ELC) of Tanzania, which is affiliated to the Lutheran World Federation (LWF), also holds the top position in Africa. Worldwide the Church has an estimated 70 million adherents. Even though all the Lutheran churches in Africa were shown as having recorded high growth rates, Tanzania had the strongest showing. In recent years mainstream churches have been showing alarm at the high rate at which they have been losing members to mushrooming evangelical sects. The Catholic Church, with a membership of 9.5 million members or about 25% of the total population in Tanzania, remains the largest Christian group in the country – The Citizen. The Society for Islamic Propagation (UAMSHO) has been arranging services to pray for a coalition government in Zanzibar. Head of the society Sheikh Azan said that the aim was to pray for the success of the ‘rapprochement’ between President Amani Karume and CUF Secretary General Seif Sharif Hamad and for the formation of a coalition government – Nipashe. The Guardian, in article dated February 27 revealed that Tanzanian and American scientists have finally identified the remains of a 7.5-metre-long man-eating crocodile in the Olduvai Gorge. They estimate its age to be 1.8 million years which could make it the largest predator ancient humans in the region could ever have encountered. Dr Fidelis Masao, a researcher in the Gorge, said that the remains would be returned to Tanzania some three years from now after they have been analysed in America, “unlike our dinosaur skeletons that were taken to Germany but have not been returned. The dinosaurs were not brought back mainly following legal complications because Tanzania was under German colonial rule when they were discovered. The researcher explained that the discovery was proof that in the environment of those ancient times such creatures could survive, although that might be very difficult now. Chris Brochu, a vertebrate palaeontologist at the University of Iowa was quoted as saying that he would not guarantee that the crocodiles in question killed ancient humans “only that they were certainly biting them”. Ancient hominid bones discovered by Mary and Louis Leakey in the same sediments bear distinct bite marks likely to have been inflicted by large crocodiles. Yet, most researchers have assumed that the gashes were delivered by the same species of crocodiles that prowls the banks of the Nile today. This is not so claims Brochu, who re-analysed numerous incomplete fossils, the most recent of which was unearthed in 2007 by among others Jackson Njau of the Natural History Museum in Arusha. Though roughly the same size as the reptilian denizens of the Nile, the Olduvai crocodiles had thinner, more flared snouts and large horns more characteristic of Madagascan crocodiles that went extinct in the past few thousand years. “The discovery of C. anthropophagus points to far more diversity in African crocodiles in the past 2.5 million years than was thought,” argues Brochu. He says his team has not found many fossils belonging to C. anthropophagus, but none is complete, “so it’s impossible to determine its precise relationship to the modern Nile crocodiles. But, Brochu has little doubt that C. anthropophagus threatened the ancient hominids who called Olduvai Gorge home. According to the palaeontologists, larger crocodiles would have been capable of consuming hominids completely, leaving no trace. In January the Guardian reported that serious discussions were still underway between the government and the Indian investor-RITES – on the possibilities of amending some sections of the contract governing the operations of Tanzania Railways Limited (TRL). The government was also considering whether the contract between the two shareholders should continue or not. The government was still topping up workers’ salaries at a cost of about Shs 522 million monthly, these sums being loans to the company. The government expected that they would be repaid when the firm started operating efficiently. TRL has been experiencing differences on policy with the Indian company and the workers have been on a number of strikes since the new management took over operations of the central railway line three years ago. Also in January the Guardian published a strange story about the other main railway – the Tanzania Zambia Railways (TAZARA). The Guardian also reported that Infrastructure Development Minister Dr Shukuru Kawambwa had said that his office was aware of the disappearance of the MD, and that deliberations on the matter would be held at a joint meeting involving concerned ministers from Tanzania and Zambia. Kawambwa also said that the Chinese government was set to lend Tanzania and Zambia $ 39 million as part of new a strategy to bailout the jointly-owned railway line. The Chinese government was also going to send management and technical staff to support the existing management. In an editorial, the Guardian proposed that a major management, manpower and financial audit be conducted so as to bring to the fore all underlying issues and durable solutions recommended. Furthermore, the system of appointment of the Chief Executive should be reviewed. A new report exposed continued large-scale illegal ivory trading in Tanzania and Zambia on the eve of the opening of the Convention on International Trade in Endangered Species (CITES) meeting in Qatar in late March. However, the governments of the two countries proposed to CITES that they should be allowed to sell $15 million worth of tusks. The report, ‘The Burgeoning Illegal Ivory Trade in Tanzania and Zambia’, by the ‘Environmental Investigation Agency’ (EIA), a non-profit group based in Washington, DC and London, quoted in This Day, said that undercover investigators had found evidence of a flourishing trade in illegal ivory in both countries. It said that Tanzania’s elephant population had declined by more than 30,000 elephants between 2006 and 2009, primarily from poaching to supply black-market ivory to Asia. This was said to be concentrated around the Selous Game Reserve, where 40% of the country’s elephants are found. A seemingly innocent proposal by the government to sell 90 tonnes of its ivory stockpiles worth $15 million to provide much needed revenue came under severe criticism. There was strong opposition from the tourist business in Tanzania. Chairman of the Zanzibar Association of Tourism Investors (ZATI) Mohammed Simai said that the campaign would impede Tanzania’s efforts to promote tourism, including game viewing in prominent national reserves like Selous, Serengeti and Ngorongoro. He urged President Kikwete to intervene and stop the proposed sale and added that the $15 million was a drop in the sea compared to potential losses from tourism. Tanzania earned Shs 1.6 trillion in 2008 from 640,000 tourists accounting for some 17% of GDP. Zanzibar would lose heavily because 30% of foreigners who came to Zanzibar had been game viewing tourists on the mainland. Next, there was a visit to Tanzania by a delegation from CITES to assess if the country deserved a stockpile trade window. The government argued that its elephant population was safe and on the rise. However, at the CITES conference in Qatar, issues of poaching were high on the agenda and Tanzania’s proposal attracted opposition from East Africa Community partners Kenya and Rwanda, and angered several other western countries and conservation groups. Britain’s Environmental Secretary Hilary Benn declared that the UK would vote no. The London Times had declared that Tanzania had established itself as the leading country for the illegal slaughter and export of ivory. Up to 50 elephants were killed every month at Selous it wrote and the authorities were torching the carcasses as a cover up. Other countries that called for a 20-year included Mali, Benin, Chad, Ethiopia, Ghana, Guinea, Niger, Nigeria, Senegal, Togo, Liberia, Sierra Leone and the Government of Southern Sudan. Zambia was the only African country to support Tanzania. Tanzania’s proposal was eventually rejected by CITES. In the Philippines, a wildlife officer has been suspected of stealing at least part of 700 kilos of elephant tusks worth $2 million which had been smuggled into the country from Tanzania. According to the Director the country’s Protected Areas and Wildlife Bureau, the ivory – valued at $65,000 – had been part of a 4,000-kilo shipment of tusks impounded at Manila airport in July 2009. The seals on some of the boxes had been broken and some of the original tusks had been replaced by replicas made of PVC pipes covered with plaster. She went on: “This is really embarrassing because we should be among the proactive countries protecting such internationally-important species. In a related development, 23 African countries told the European Union to support protection of the continent’s elephants and that, in return, they would help the EU to protect bluefin tuna. However, if the EU did not back their case, they threatened to oppose Europe’s proposal to ban trade in the giant fish. At the CITES meeting in March the proposed ban on fishing for blue tuna was overwhelmingly defeated after considerable lobbying by Japan which consumes large quantities.